It’s that most wonderful time of the day again when you get the opportunity to introduce some wonderful technology into your life without having to pay the full price. 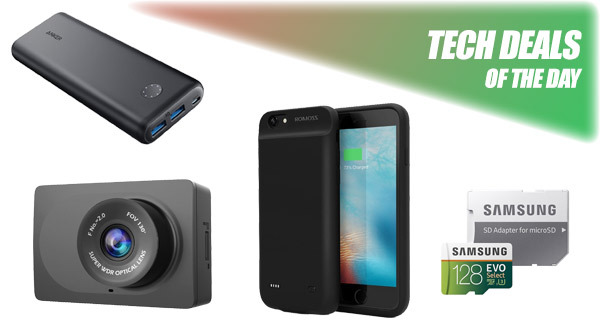 As has become the norm, we have a selection of hand-picked tech deals which are all being offered up for less than the recommended retailers price, which means that you can save, instantly. As always, as quickly and get them ordered before these deals are gone. 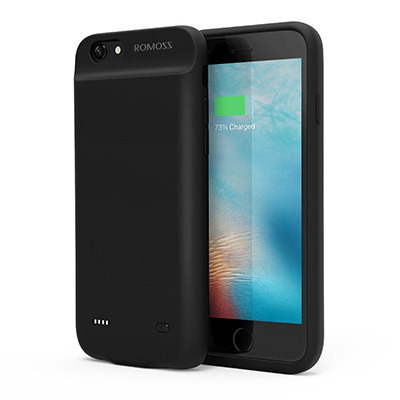 Starting off, we are looking at an iPhone 6 Plus / 6s Plus battery case from ROMOSS coming in for just $22. Next up, is a 20,000mAh portable battery power bank with PowerIQ technology. 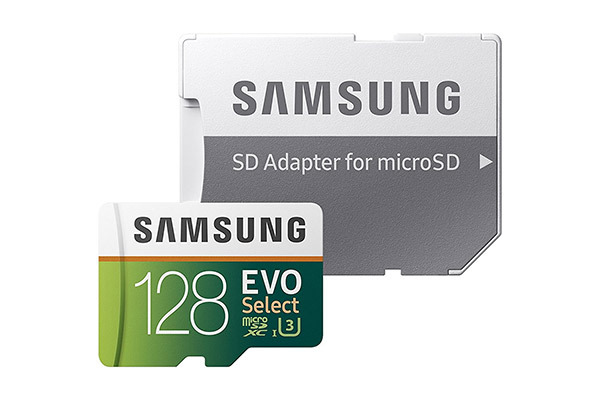 There’s also a 128GB high-speed microSD card from Samsung with adapter for just $40. Last but not the least is a $30 1080p dash cam for your car. As always, make sure you act quickly to grab the product of your choice from the list here as these deals are usually time sensitive and subject to stock levels. Enjoy the savings! 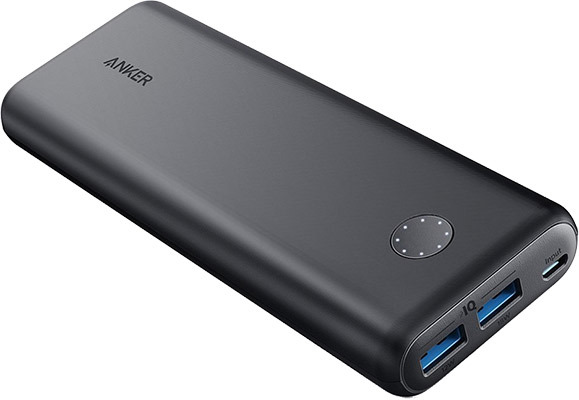 If you classify yourself as a medium to heavy smartphone user, then you could definitely benefit from having a portable power bank capable of delivering instant power to any device you connect to it. It even comes with PowerIQ to ensure that it delivers the right power to the connected device at the right rate. That basically means that whatever you connected it’s going to get power quickly and efficiently. Best of all, this power bank can be yours for a mere $36 using the following promo code at check out: Y18A1260. If Father Christmas brought you a smartphone, tablet, or digital camera which takes MicroSD cards for storage, then this Samsung offering with accompanying adapter is definitely something that you need to consider. This card is perfect for high-performance 4K UHD recording. This is everything that you need for media storage at the highest possible level. If you have iPhone 6s Plus or iPhone 6 Plus, class yourself as a medium to heavy smartphone user, and regularly find yourself running out of battery when you are out and about, then you are probably going to want to consider this piece of kit. Simply slip this onto your compatible iPhone and you’ll have immediate access to an additional 8000mAh battery. Even better, you can grab this case for just $22 using the following promo code at checkout: ROMOSSEC. Cameras within vehicles seem to be all the rage these days. So if you want to get in on that trend then you may as well get a decent piece of hardware at a seriously affordable price. 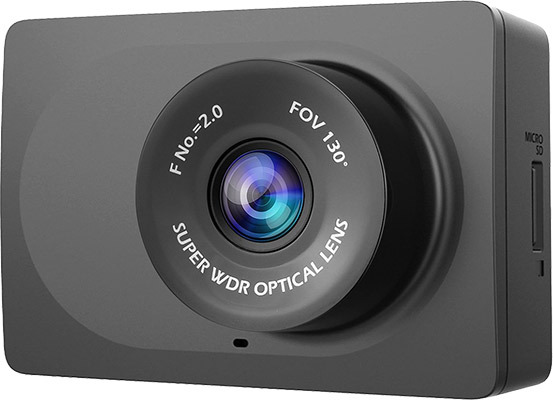 This YI option offers full HD video capture and recording has a 130-degree wide-angle lens, and will even give you excellent imagery in low-light conditions. Use the following promo code at check out and get it for just $30: KJHW27DZ.